Support for apple iphone iOS 10.3.1and earlier. ATOOL 2 in 1 Lightning Adapter 3.5mm Felmale Aux Cable FOR iPhone 7/7Plus/6/6Plus/5/5s. This 2 in 1 Adapter Cable has no in line control, you can’t Adjust the Volume and Answer the Phone. 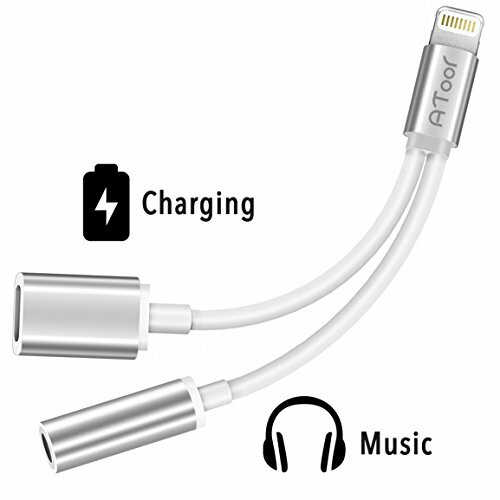 ATOOL Lightning to 3.5mm Lightning AUX cable for iPhone product which lightning jack for 3.5mm audio earphones. ATOOL has the Fast and easy-to-reach Customer Service to solve your problems within 24 hours. If you come across any problem, contact us and we’ll try our best to help you!